Robert “Fear the Beard” Marion captured the men’s elite title in the 2016 US Open Fat Bike Beach Championship. Two years later, Philicia Marion pushed to victory and earned the elite title in the women’s division. 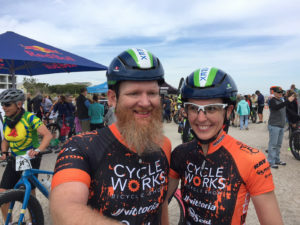 This year, the husband-wife professional biking team from Mount Airy, NC aim to carry the day and secure both titles. 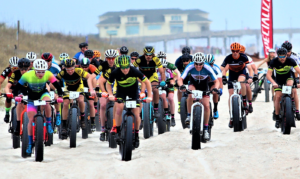 The 5th annual US Open Fat Bike Beach Championship, presented by Alpha Mortgage, will be held March 22-24 with activities and races based at host hotel Blockade Runner in Wrightsville Beach. Early registration has attracted bikers from nine states, including North Carolina, Virginia, South Carolina, Georgia, Maryland, New York, Ohio, Pennsylvania, and Rhode Island. The competition will be intense in all races, especially the two-hour elite race. Sunday features an optional 18-mile social bike ride on the beach from Fort Fisher to Bald Head Island and back. With a deep lineup of competitors in the elite 2-hour event, racers to watch include past elite champions John Overton of Wilmington (2018), Zdenka ‘Zoe’ Worsham of Raleigh (2017), and Jesse Piersol of Downington, PA (2016). Returning champions in the 1.5-hour intermediate category include two-time winner Ed Stilley of Wilmington (2017-18) and Terry Slack of Hope Mills (2016). Matt Smith of Southport, past-champion in the 1-hour beginner division (2018) has signed up for this year’s 1.5-hour intermediate race. Already the largest fat bike beach race on the East coast and named one of the Top-20 festivals and events in 2018 by the Southeast Tourism Society, the US Open Fat Bike Beach Championship may double in size in 2019. To accommodate the increase, Spencer plans to have two race times, segmenting the elite category from the intermediate and beginner groups, limiting each wave to 100-bikers. 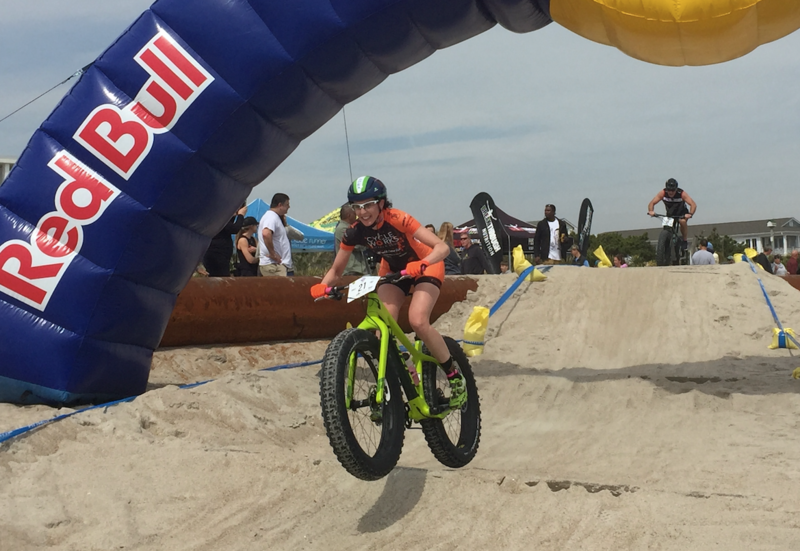 The field of women in the US Open Fat Bike Beach Championship has increased from near zero to sixteen-percent over the past four years. The growth rate is expected to continue in 2019. 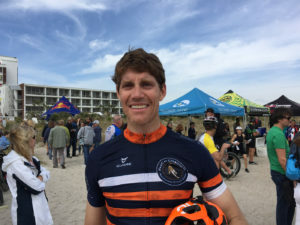 The US Open Fat Bike Beach Championship will benefit the Wrightsville Beach Foundation, a nonprofit organization dedicated to improving public parks and amenities.